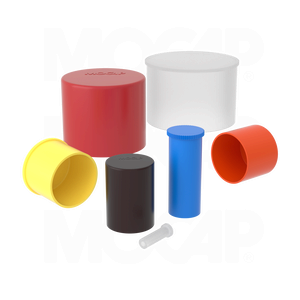 MOCAP Round Plastic Straight Caps are designed to fit over threaded and non-threaded tubing, rods and fittings, forming a snug friction fit. Also good for masking against paint, plating and grit blasting. MOCAP stocks Straight Plastic Caps in many sizes for immediate shipment.